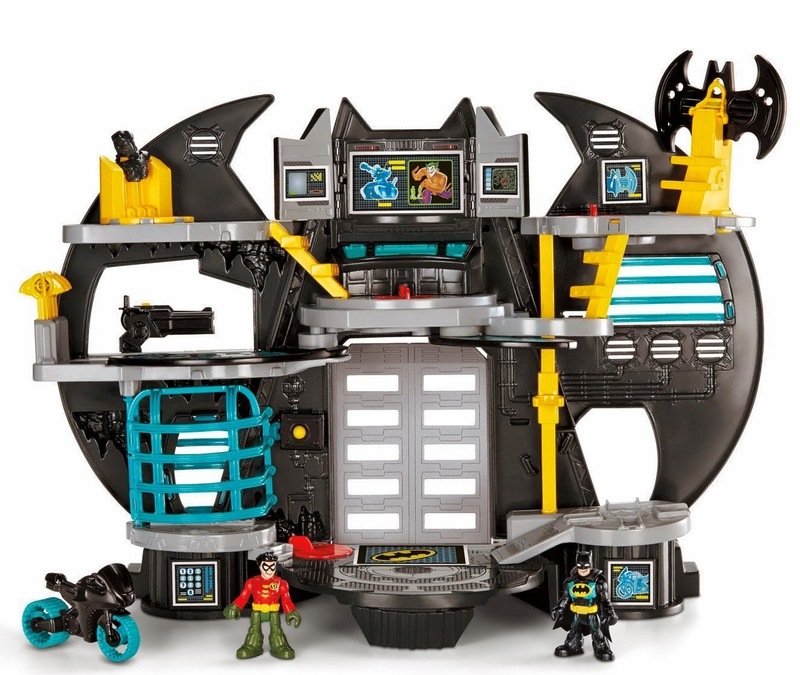 Right now you can get this Fisher-Price Imaginext DC Super Friends Batcave for ONLY $25 (Retail $39.99)! Every little child should have one of these:-) Mr. and Mrs. 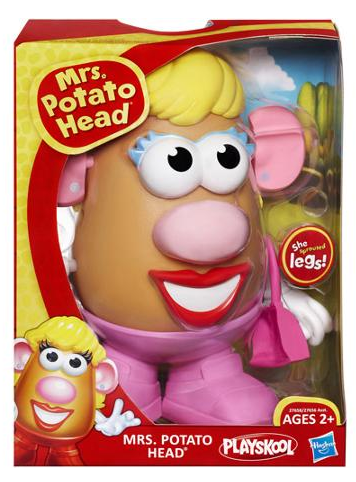 Potato Head are currently on sale for $5! This is the lowest price I can find online and of course it's always a fun gift. This new and improved version is a slimmer, more active spud that has more facial features. This Playskool toy will provide hours of fun for children who will love building many different versions. When they are done, they can simply store the parts in the figure's Tater Tush. Now through 11/22, head to Walgreens Photo and get a FREE 4.5×6 Photo Brag Book with promo code BRAGZERO at checkout. Shipping is $2.99. Limit 1 per account, per household. Great gift idea for grandparents or aunts/uncles! HURRY OVER to get this Panasonic DMP-BDT225 Smart Wi-Fi 3D Blu-Ray Player for ONLY $54.99 (Retail $129.99). This is the Black Friday price for a Wi-Fi Blu-Ray player! I would HURRY though, this model is selling for $110 everywhere else and it is selling out QUICK! 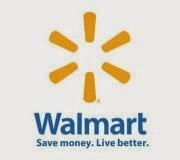 Walmart has just released an Official Online Price Match Policy! This will be a VERY important piece of information to have this holiday season and I highly recommend not only printing this out to keep with your coupons, but bookmarking this page for easy reference. Thanks, I Heart the Mart and Hip2Save! Here's a great baby gift deal. Right now, you can get this Oball Shaker for only $3.96 (Retail $8.00) with the purchase of $25 or more qualifying items. Have some Shop Your Way points you'd like to use? Hurry to Sears where Shop Your Way members can get these Trimming Traditions Christmas Outdoor 6ft. Airblown Decorations in Santa, Snowman, or Penguin for only $19.99! (retail $59.99) – discount applied at checkout! Plus, choose FREE store pickup if available at a store near you. And...the deals just keep coming! Get this Little Tikes 30th Anniversary Cozy Coupe for $39! You can also get the Little Tikes Princess Cozy Coupe Ride-On for ONLY $39 Shipped (Retail $54.99)! Prices on Amazon can change at any time. 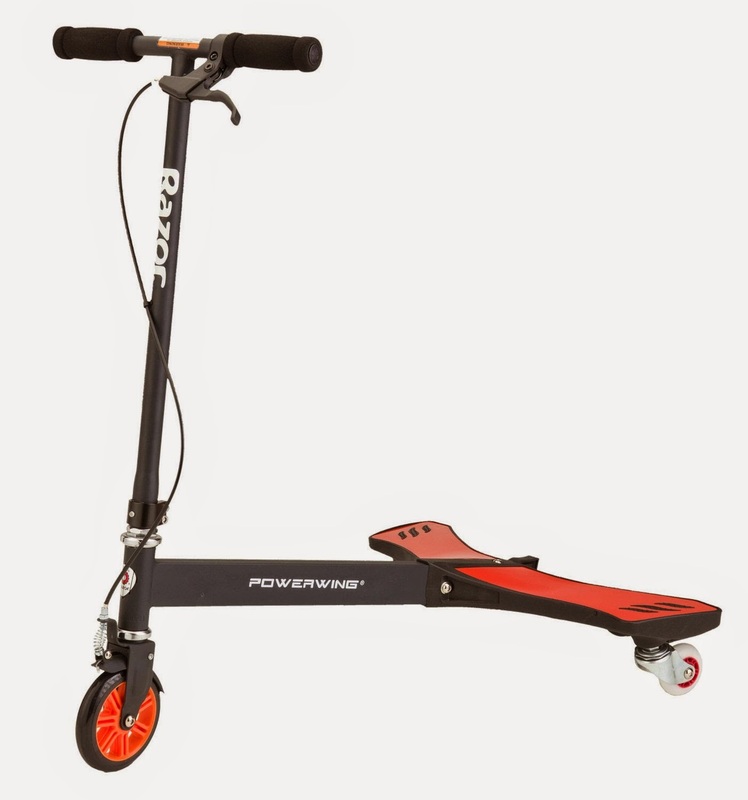 HURRY over and grab this Razor PowerWing Caster Scooter ONLY $54 (Retail $129.99)! The pink one is ONLY $47.52. Walmart has these for $54 - but SOLD OUT. I'm sure this deal will change quickly, so HURRY! Kindle eBook Deals under $3.00! dELiA*s - Dresses Buy 1, Get 1 Free & Free Shipping! Today only, dELiA*s dresses are Buy 1, Get 1 Free. Use code: DHMSHIP for Free Shipping! Offer Valid on 11.21.14 Only. Best Buy LG OLED TV - A Great Gift Idea! The holidays seem to be a big time to purchase a TV. Especially when there are great deals being offered. Which is why we love Best Buy as we know we will be getting great quality at a great price. If you are in the market for a TV, I highly recommend checking out the new LG OLED TV priced at only $3499.99. LG has been our favorite electronics brand for a while because their quality is wonderful and the products we have owned, have lasted for many years. Which makes spending a little extra upfront worth it down the line. I love the features the LG OLED TV offers making home entertainment enjoyable for the entire family. The stunning design of LG OLED TV is only 0.21" thick at its thinnest point. Picture quality is spectacular, with Infinite Contrast that ranges from the most blazing whites to the deepest blacks. 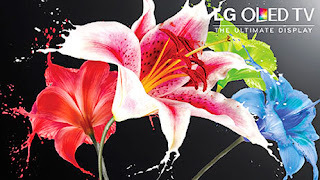 And, LG's exclusive 4 Color Pixel technology delivers bright, vibrant colors. Your first kiss. A baby's first steps. The majesty of a desert sunset. Some things in life defy all explanation and must be experienced to be believed. Such is the case with LG's latest display technology. With deeper and richer colors, stunning contrast and ingeniously curved screens, it is unlike any technology you've ever seen, and it delivers a picture that exceeds your wildest imagination. ·Infinite contrast ratio and stunning color - delivers more natural, lifelike viewing. ·4 Color Pixel technology enhances color range and accuracy. LEGO Friends Heartlake High $39.00 (Retail $49.99) + Free Shipping! WOW! If you have a LEGO fan, hurry and grab the LEGO Friends Heartlake High for only $39.00 (Retail $49.99) + Free Shipping. Kroger - Free Friday Download November 21st! Here is another great freebie from Kroger you won't want to miss. Today Only, sign into your Kroger Plus Card account and get the Free Friday Download for (1) FREE jar of Herdez Cooking Sauce 12 oz. Target Cartwheel 50% off Toy Offer 11/21! Here is the deal for November 21st - Save 50% off Mooshkad Miniature Fairytale Castle. Limit 1 item per guest; item availability varies by store. Excldues all other Mooshka items. Offer valid in store only. EXP 11/21. 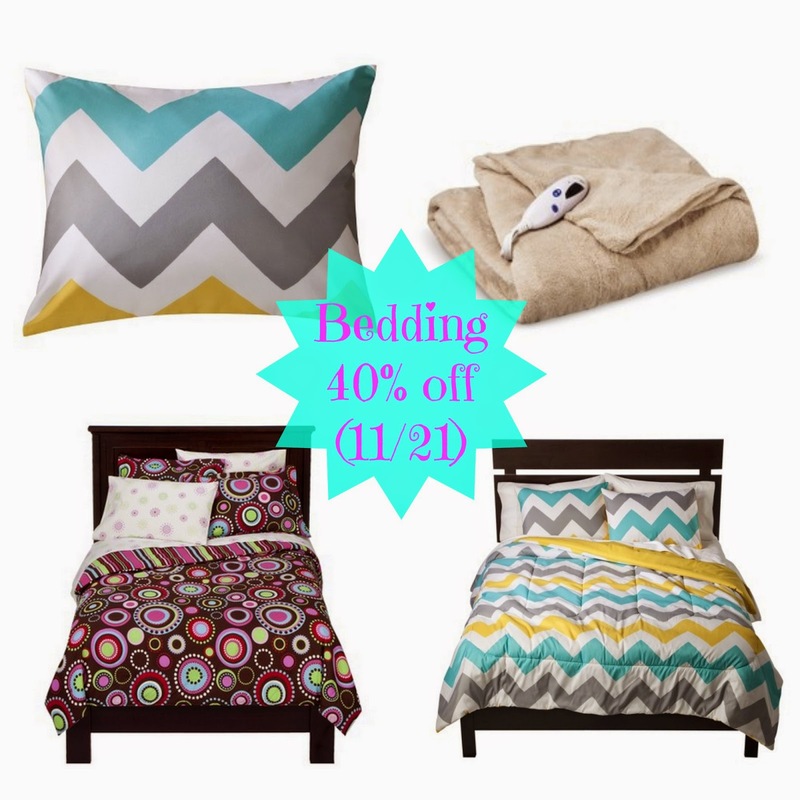 Target Bedding 40% off + Free Shipping (11/21 only)! Today only, save 40% off bedding at Target. Plus, shipping is Free on all orders. Discount will be applied in your cart.